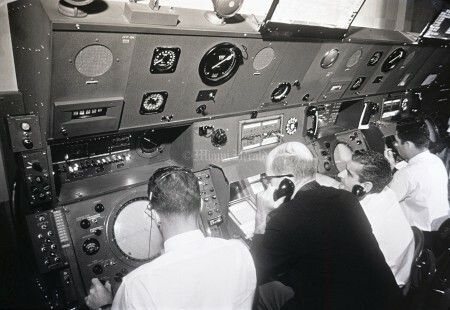 On September 15, 1928, Capt. 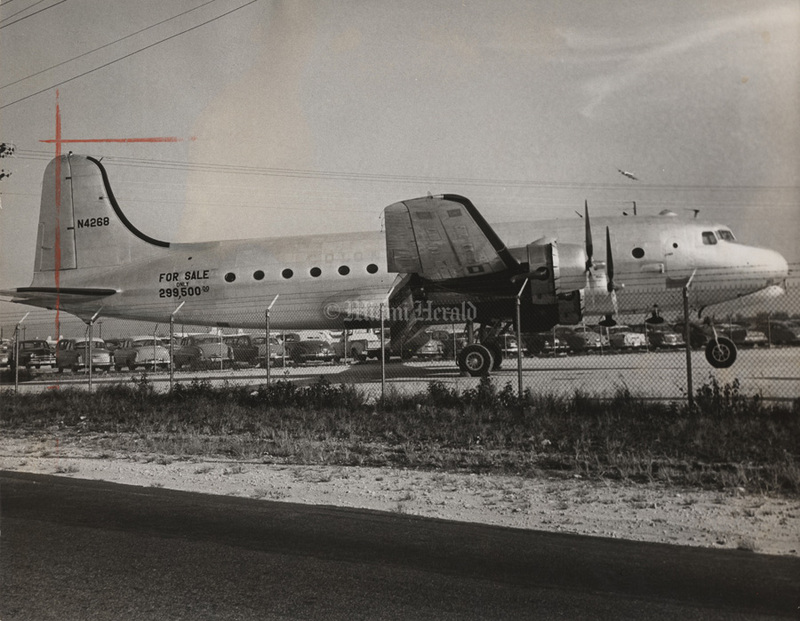 Edwin Musick took off from a dirt runway with 340 pounds of mail and two passengers bound for Key West. 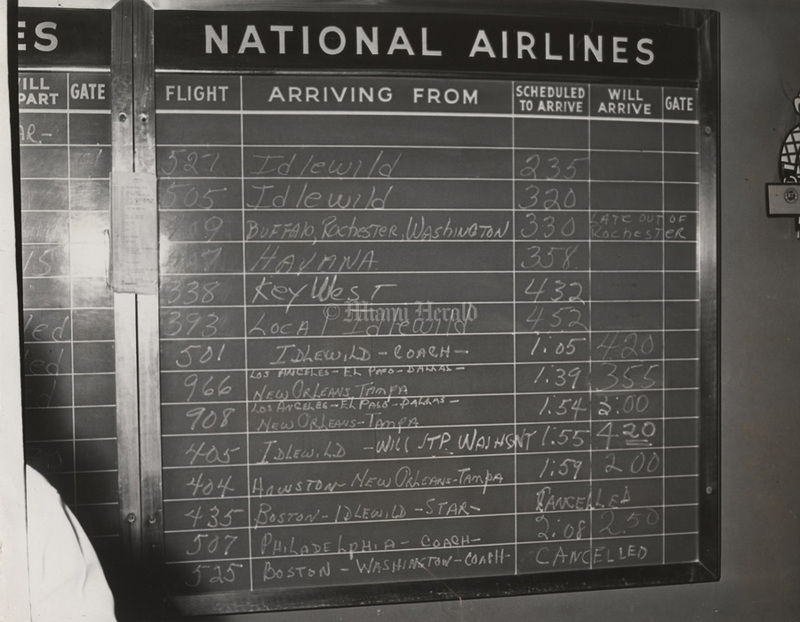 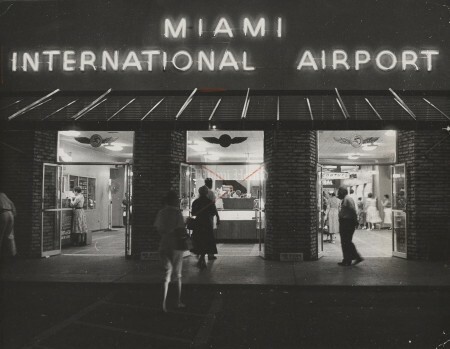 It was the first recorded flight from what would become Miami International Airport. Pan American Airways shifted its operations from Key West to Miami and purchased 116 acres of swampland on the south side of Northwest 36th Street near Le Jeune Road. 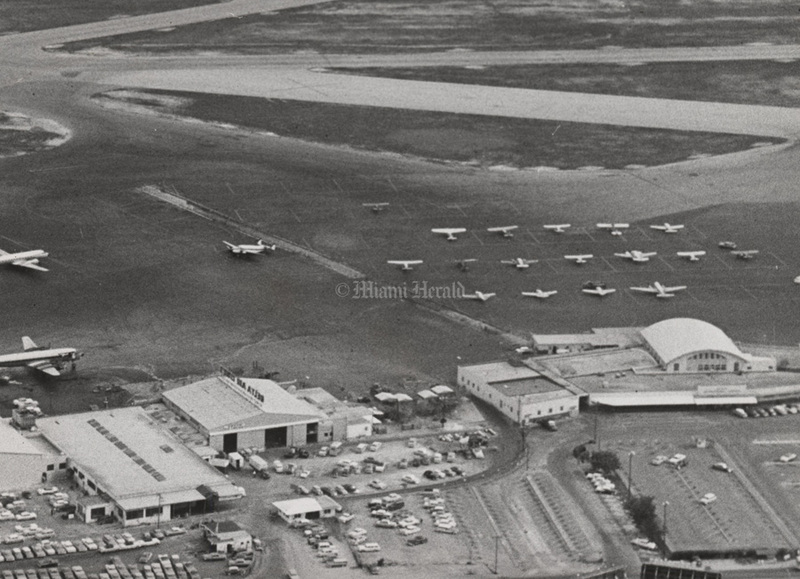 Soon, the dusty field had two runways, two hangars and a then-modern terminal (without air conditioning, of course) that cost $50,000. 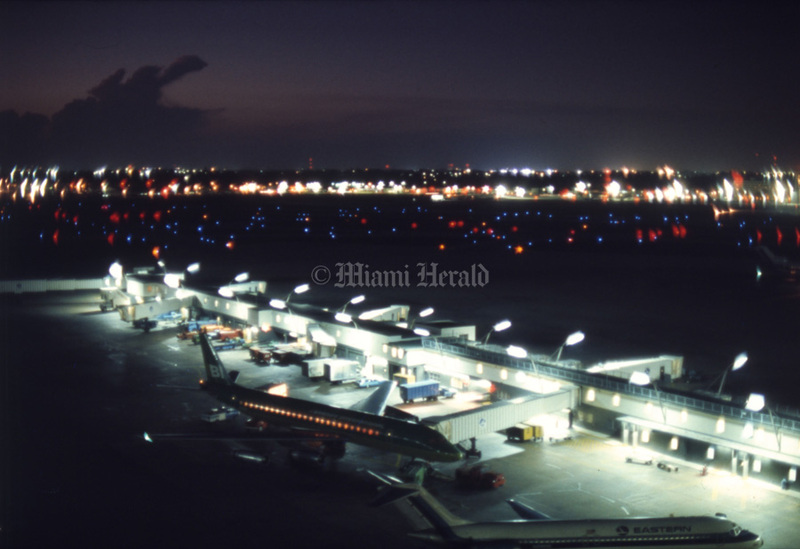 Flights loaded with mail and a few passengers began taking off and landing in young Miami. 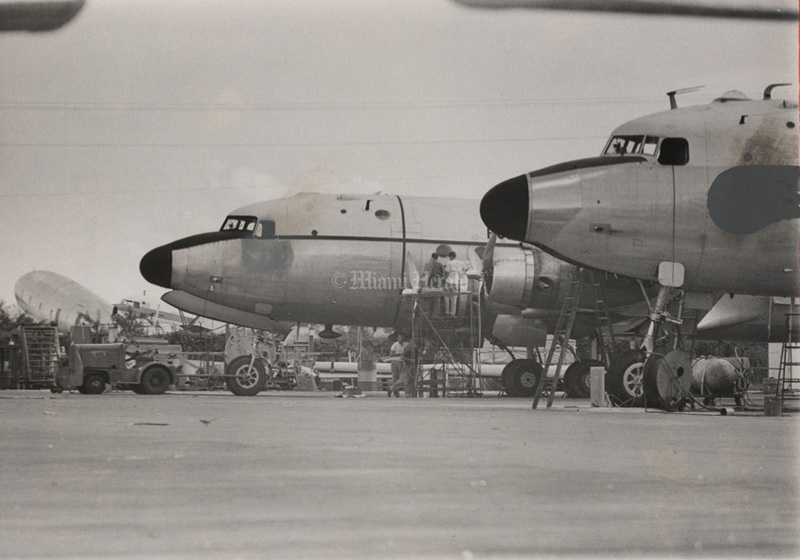 Airplanes were known as flying boats. 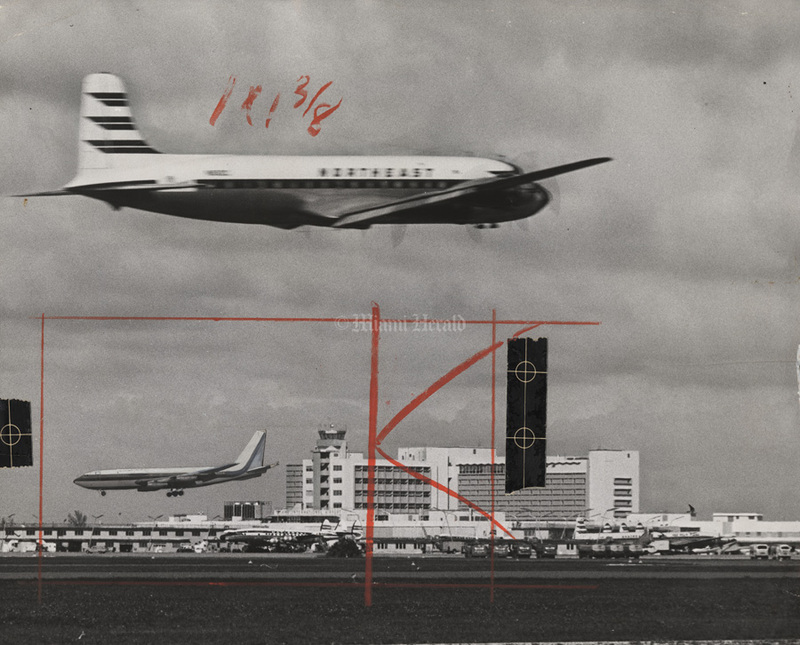 Those were the days when Miami International Airport was the “36th Street airport” and then “Pan Am Field.” During the war, the airport was taken over by armed forces. The military built shacks west of Le Jeune close to the Palmetto Expressway. 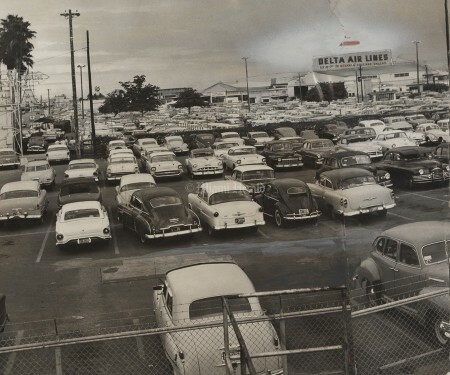 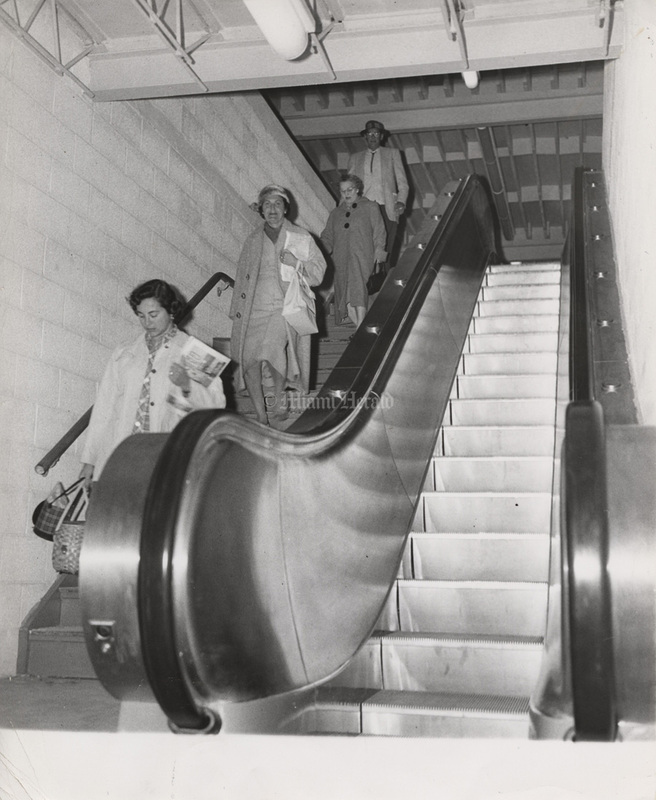 By the late 1950s, the complex had stretched to 20th Street. 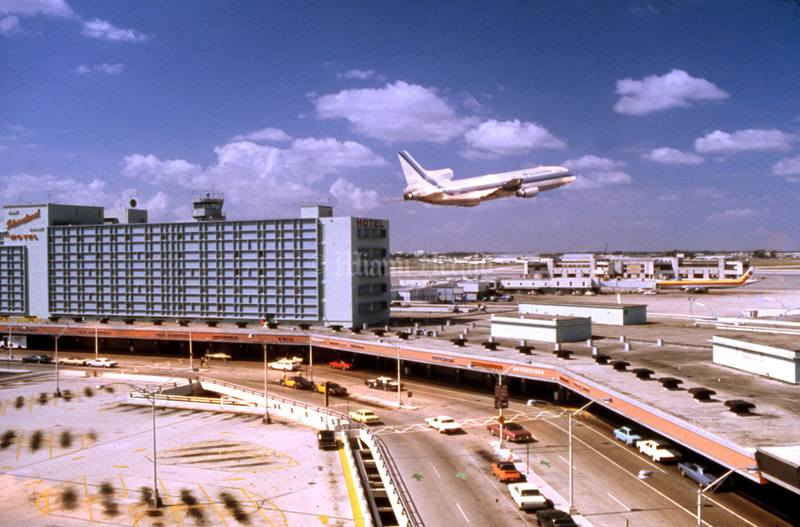 Today Miami International Airport covers 3,230 acres west of downtown Miami between Northwest 36th Street, Le Jeune Road, the Palmetto Expressway and State Road 836 and is one of the busiest airports in the world. 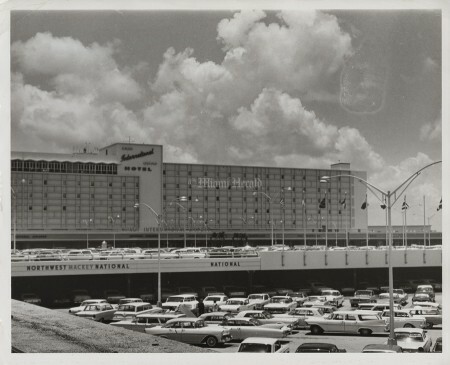 Copyright © The Miami Herald, 1965 [Miami International Airport] 10/28/1965, Tom McCarthy/Miami Herald: Miami International Airport. 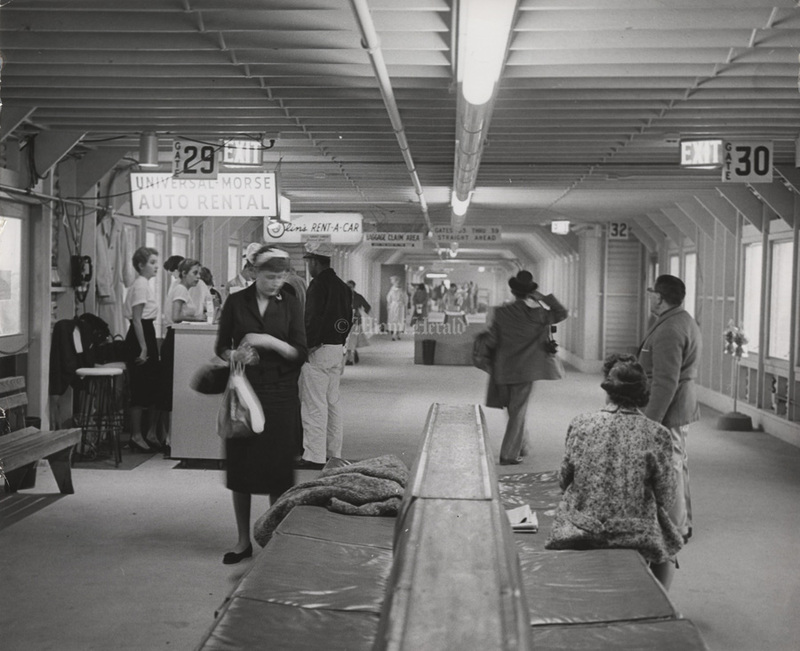 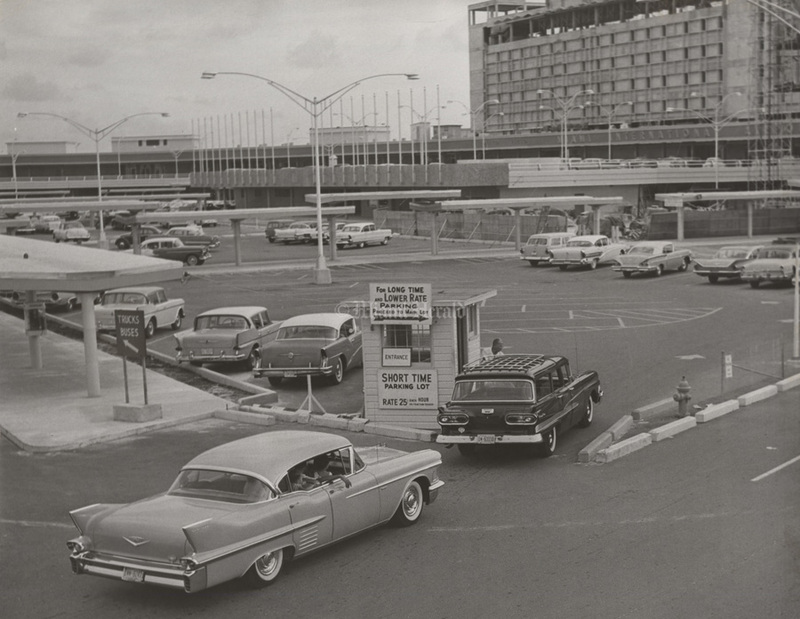 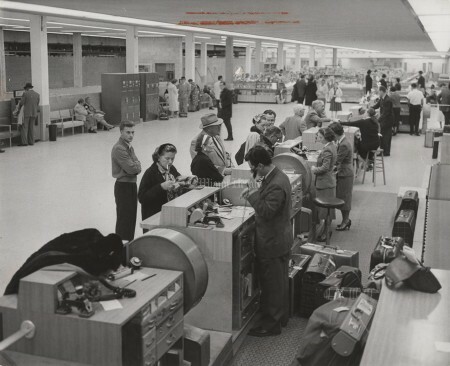 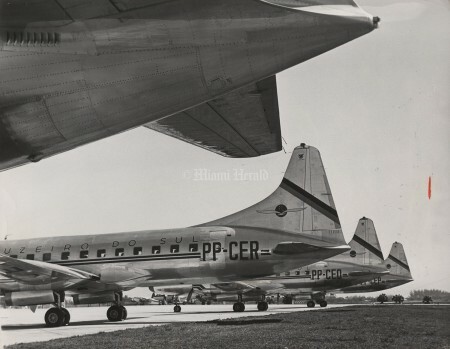 Copyright © The Miami Herald, 1959 [Miami International Airport] 4/9/1959, Bob East/Miami Herald: Old Miami terminal. 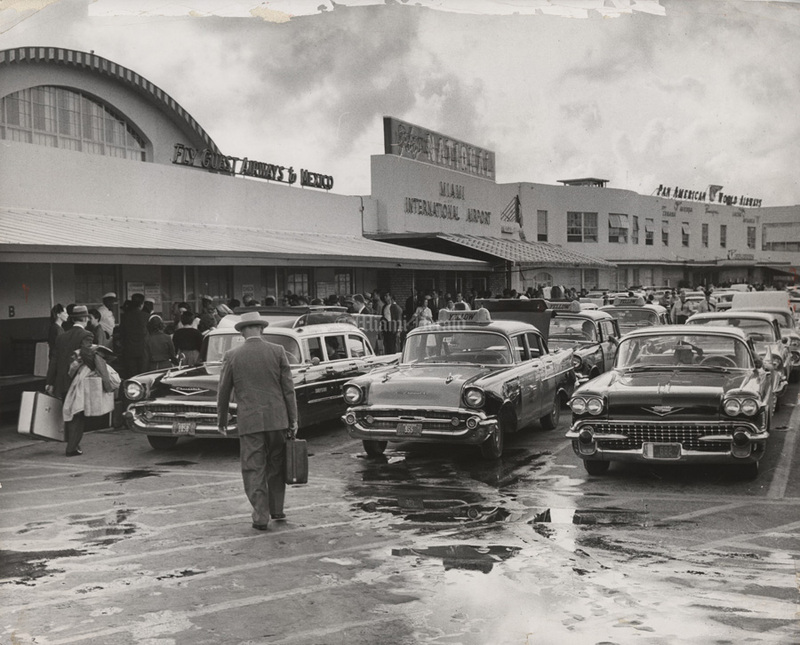 Copyright © The Miami Herald, 1959 [Miami International Airport;Airport 20th Street] 1/23/1959, Bill Sanders/Miami Herald: Airport on 20th St. Copyright © The Miami Herald, 1966 [Miami International Airport] 8/20/1966, Joe Lippincott/Miami Herald: Eastern Air Lines counter. 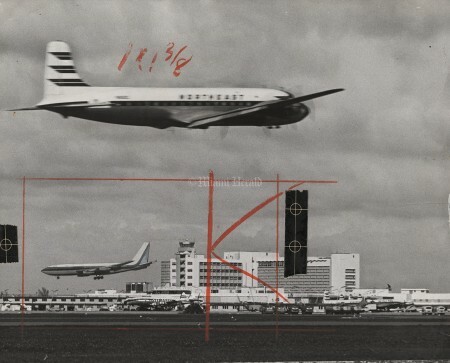 Copyright © © The Miami Herald [Miami International Airport;control tower;air traffic control;airplanes;airport;aviation;FAA] Undated: Bob East/Miami Herald Staff: Eastern Airlines L-1011 TriStar takes off from Miami International Airport. 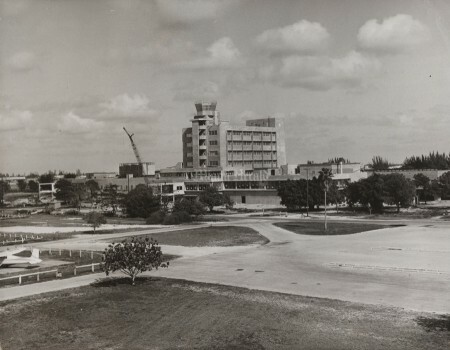 Tower is visible at left. 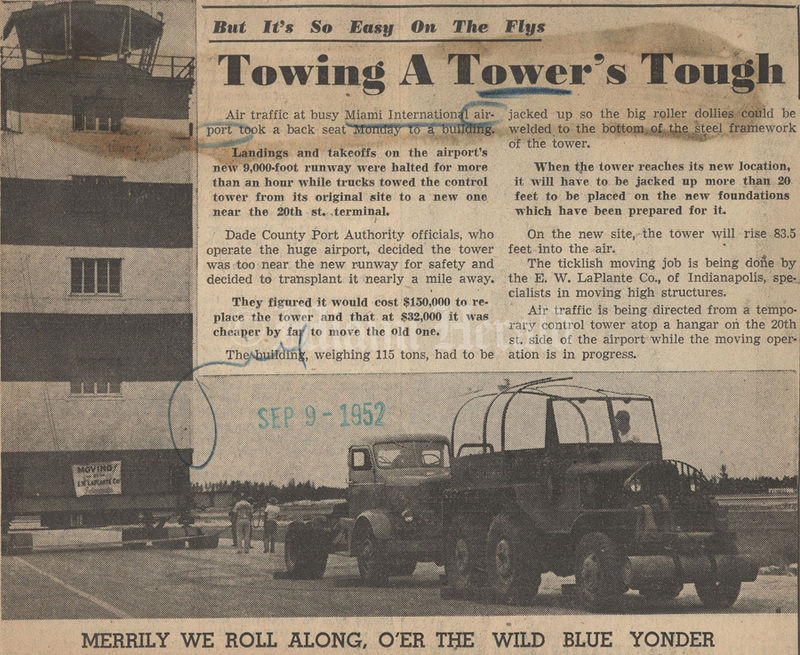 Copyright © The Miami Herald, 1959 [Miami International Airport] 3/21/1959, Bill Sanders/Miami Herald: Chains now hag overhead to warn truck drivers entering parking area that there's a low bridge agead. Copyright © The Miami Herald, 1958 [Miami International Airport] 2/17/1958, Bill Sanders/Miami Herald: Miami International Airport. Copyright © The Miami Herald, 1962 [Miami International Airport] 1/12/1962, John Walther/Miami Herald: Miami International Airport. 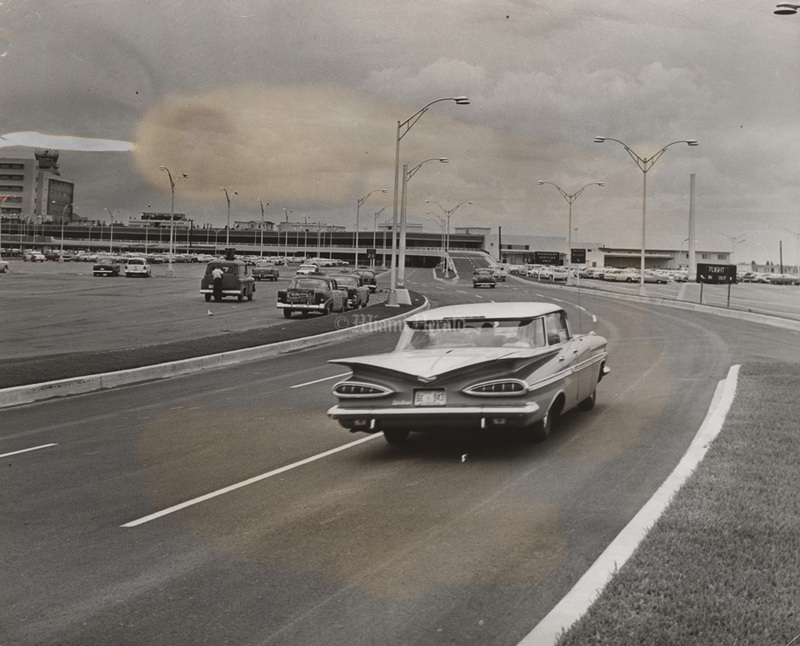 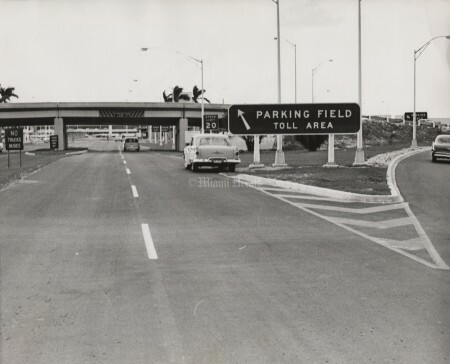 Copyright © The Miami Herald, 1959 [Miami International Airport] 3/21/1959, Bill Sanders/Miami Herald: sign at right, leading from overpass approach to LeJune, is confusing and placed so drivers see it too late to swing from left or center lane and go south on LeJune. Copyright © The Miami Herald, 1969 [Miami International Airport] 10/26/1969, Albert Coya/Miami Herald: Miami International Airport. 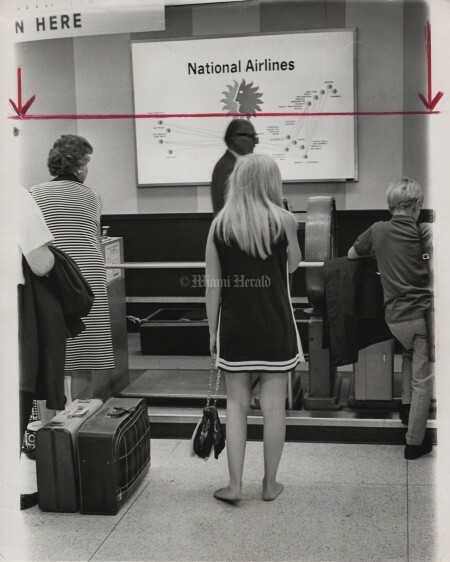 Copyright © The Miami Herald, 1966 [Miami International Airport] 3/20/1966, Bob East/Miami Herald: Flights jammed--going North or South. 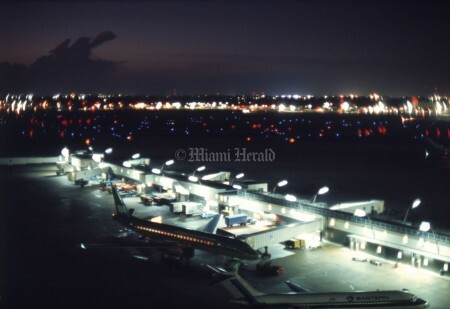 Copyright © © The Miami Herald [Miami International Airport;control tower;air traffic control;airplanes;airport;aviation;FAA;runway;lights] 5/5/1974, Battle Vaughan/Miami Herald: At least 1,600 runway and taxiway lights guide the way at Miami International Airport for planes landing. 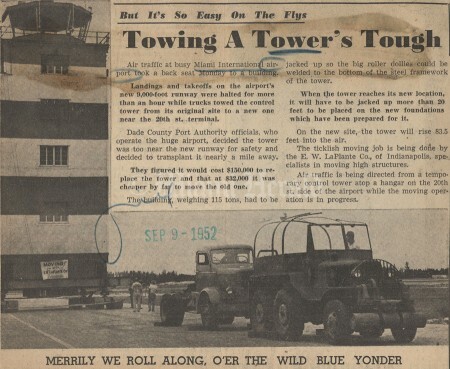 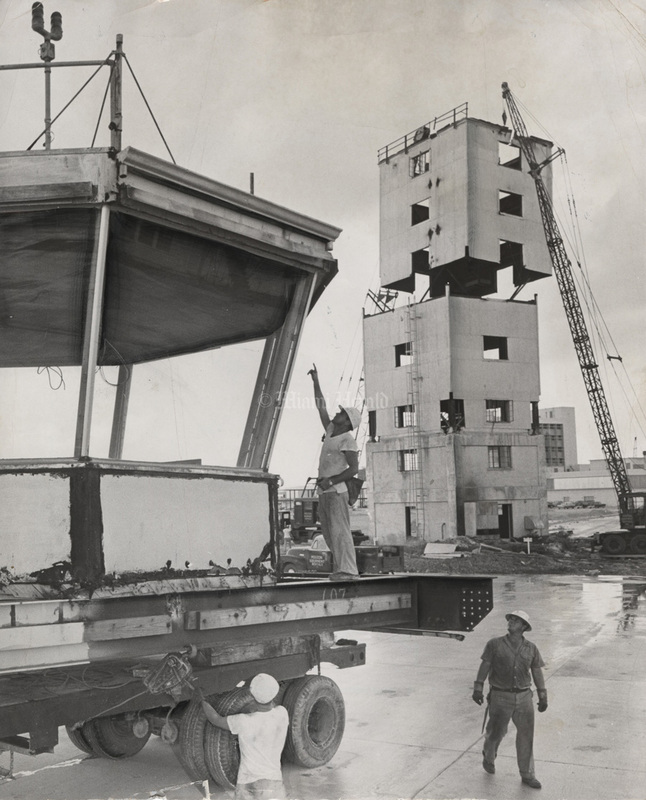 Copyright © The Miami Herald, 1958 [Miami International Airport;Airport 20th Street] 9/10/1958, Steve Wever/Miami Herald: Dismantling and the removal of the control tower from the 20th Street side of the airport. 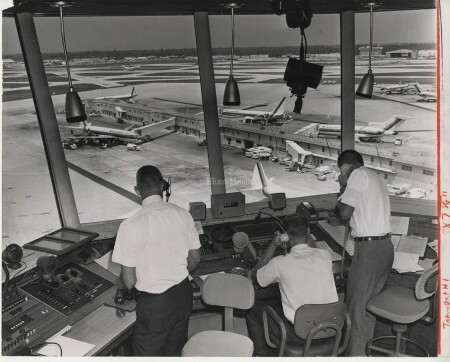 Copyright © © The Miami Herald [Front;Miami International Airport;control tower;air traffic control;airplanes;airport;aviation;FAA] 9/2/1966: Jim Birmingham/Miami Herald Staff -- Traffic control personnel handle heavy load at Miami International Airport ...airport inherits noise and congestion woes of jet-era aviation. Copyright © The Miami Herald, 1959 [Miami International Airport;Airport 20th Street] 1/23/1959, Bill Sanders/Miami Herald: Airport. 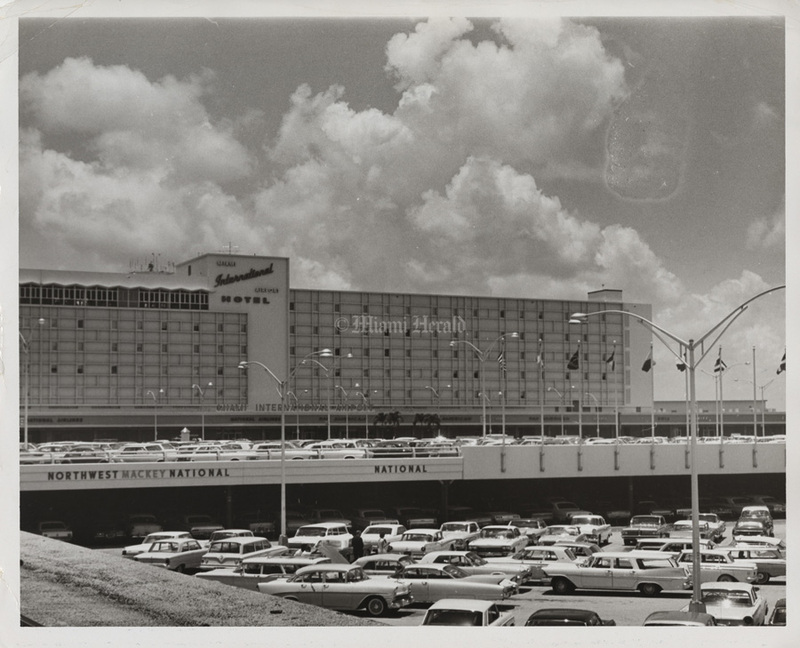 Copyright © The Miami Herald, 1965 [Miami International Airport] 7/7/1965, Mike Freeman/Miami Herald: Miami International Airport hotel. Copyright © © The Miami Herald, 1962 [FAA;aviation;control tower;radar;Miami International Airport] 7/29/1962: Mike Smith/Miami Herald Staff -- Controllers at Miami Airport use radarscopes to check plane positions. Copyright © The Miami Herald, 1957 [Miami International Airport] 12/19/1957, Bob East/Miami Herald: View of the airport from the Southwest. 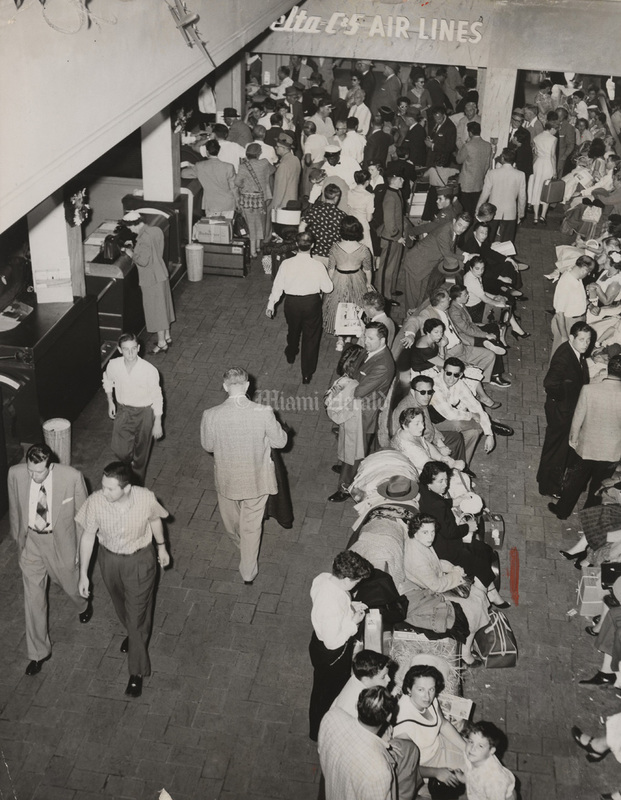 Copyright © The Miami Herald, 1958 [Miami International Airport] 11/23/1958, Bob East/Miami Herald: Tourists arrive at 36 St airport. 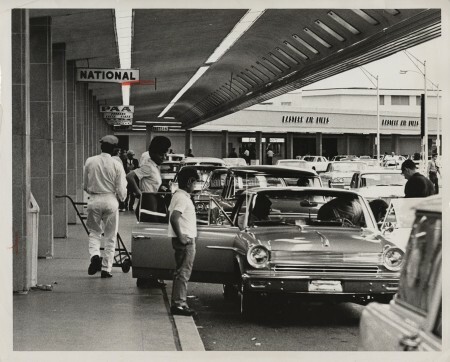 Copyright © The Miami Herald, 1969 [Miami International Airport] 7/3/1969, Albert Coya/Miami Herald: Miami International Airport. 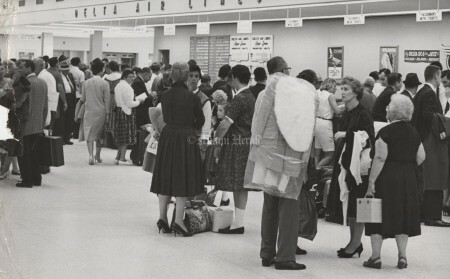 Copyright © The Miami Herald, 1960 [Miami International Airport] 1/3/1960, Bob East/Miami Herald: Miami International Airport. 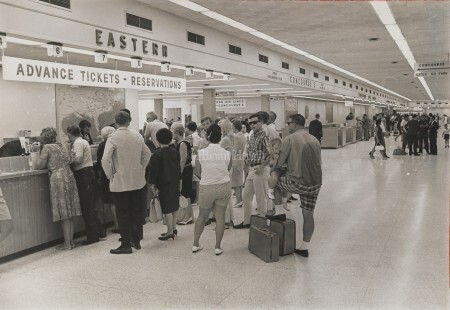 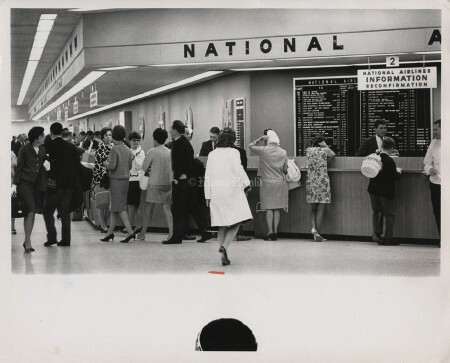 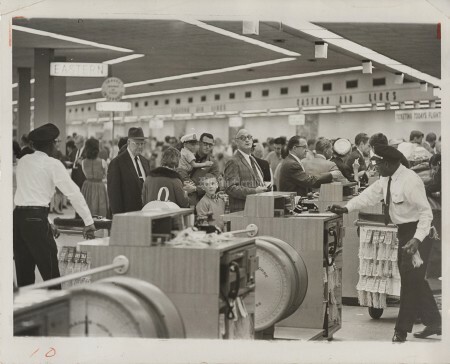 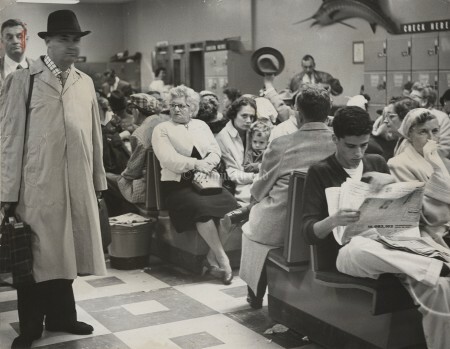 Copyright © The Miami Herald; 1966 [Miami International Airport] 7/8/1966, Bill Kuenzel/Miami herald: The action is lively at Northeast as travelers seek seats on still-flying airlines... the fortunate get tickets, others must wait. Copyright © The Miami Herald, 1963 [Miami International Airport] 12/27/1963, John Pineda/Miami Herald: Miami International Airport. 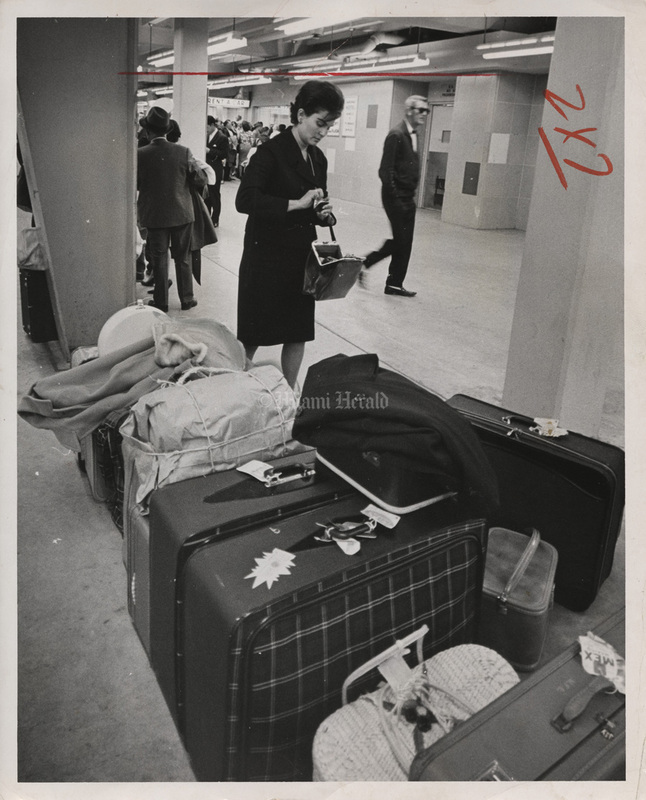 Copyright © The Miami Herald, 1967 [Miami International Airport] 12/22/1967, Albert Coya/Miami Herald: People at Airport going home for Christmas. 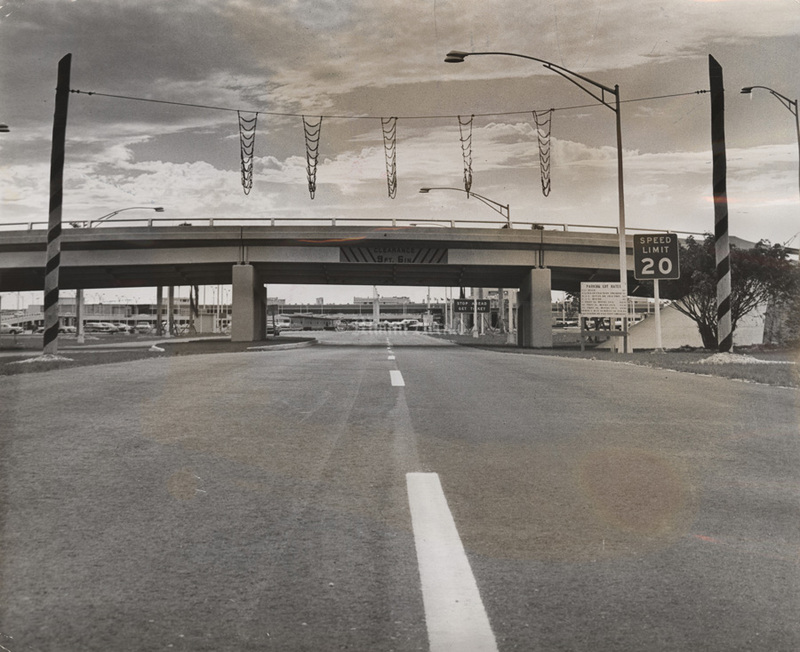 Copyright © The Miami Herald, 1957 [Miami International Airport] 12/26/1957, Bob East/Miami Herald: View from Southeast, under unfinished overhead roadway. 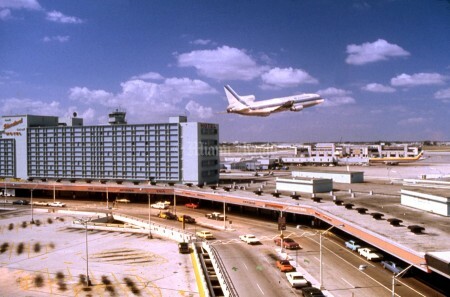 Terminal nearing completion will boost airport stock. 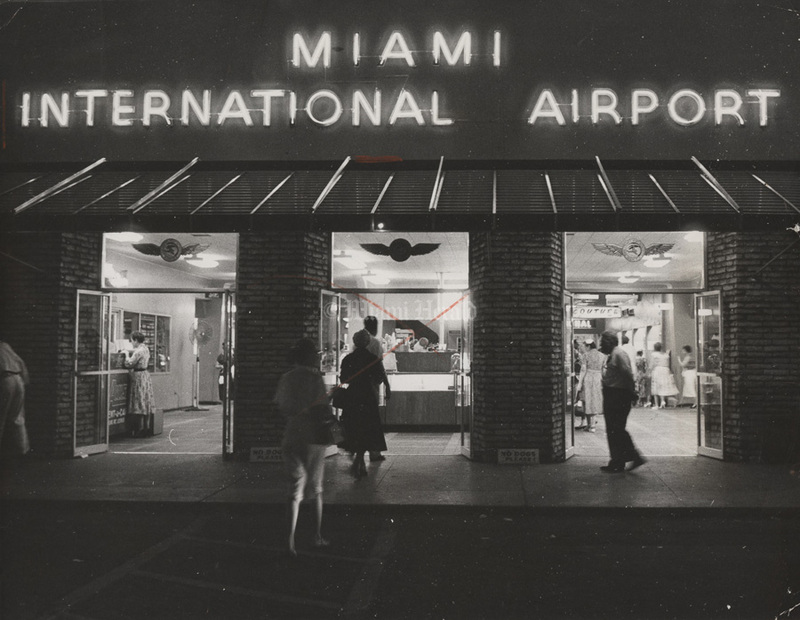 Copyright © The Miami Herald, 1957 [Miami International Airport] 11/5/1957, Bill Sanders/Miami Herald: This sign can be seen from 36th Street on the L.B. Smith grounds. 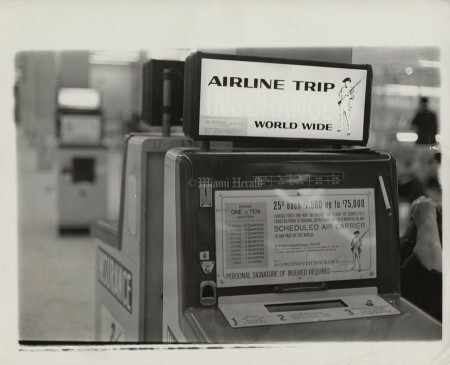 It says, "For Sale, Only $299,500." 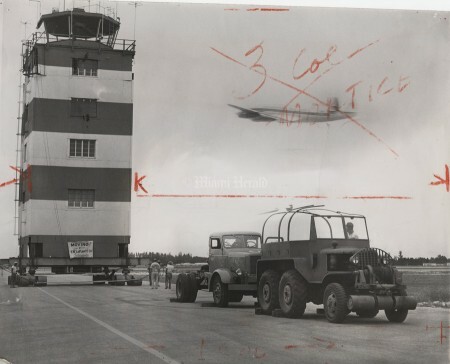 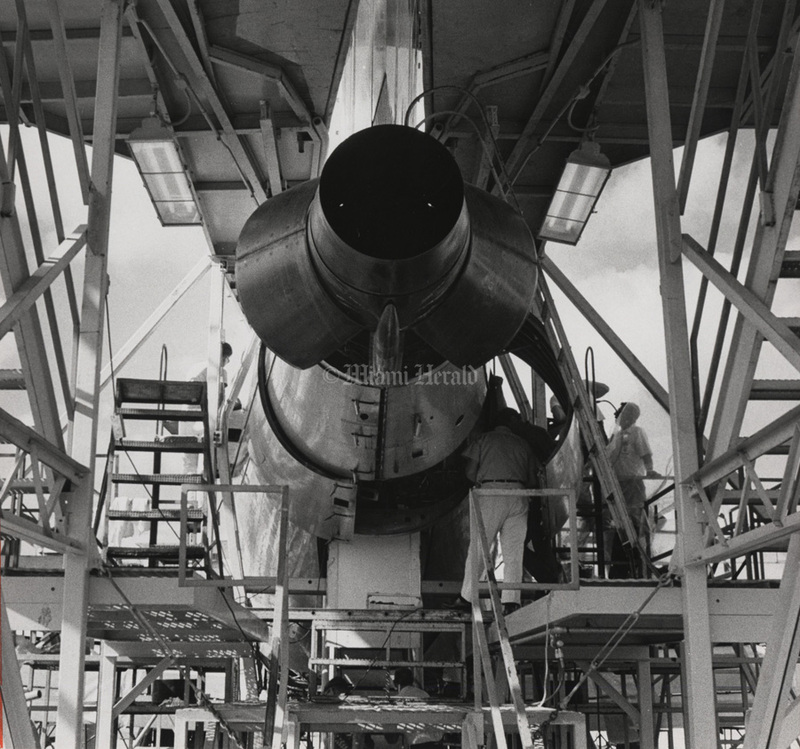 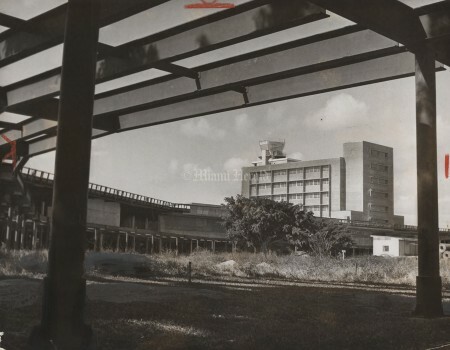 Copyright © © The Miami Herald [Front;Miami International Airport;control tower;air traffic control;airplanes;airport;aviation;FAA] 6/3/1959: This uncredited photograph is stamped as published 3/19/1967 but was not seen in microfilm for that day. 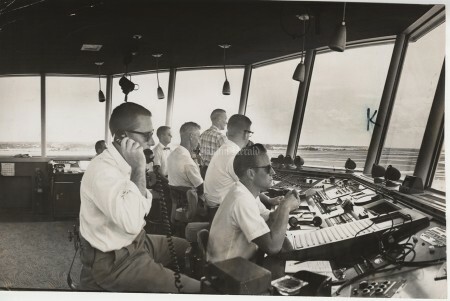 -- Tower at new airport. Copyright © The Miami Herald; 1955 [Miami International Airport] 1/2/1955, Bob East/Miami Herald: Miami International Airport. Copyright © The Miami Herald, 1958 [Miami International Airport] 2/8/1958, John Walther/Miami Herald: Miami International Airport. Copyright © The Miami Herald, 1960 [Miami International Airport] 1/2/1960, Miami Herald: Modern terminal glistens at Miami's busy airport. 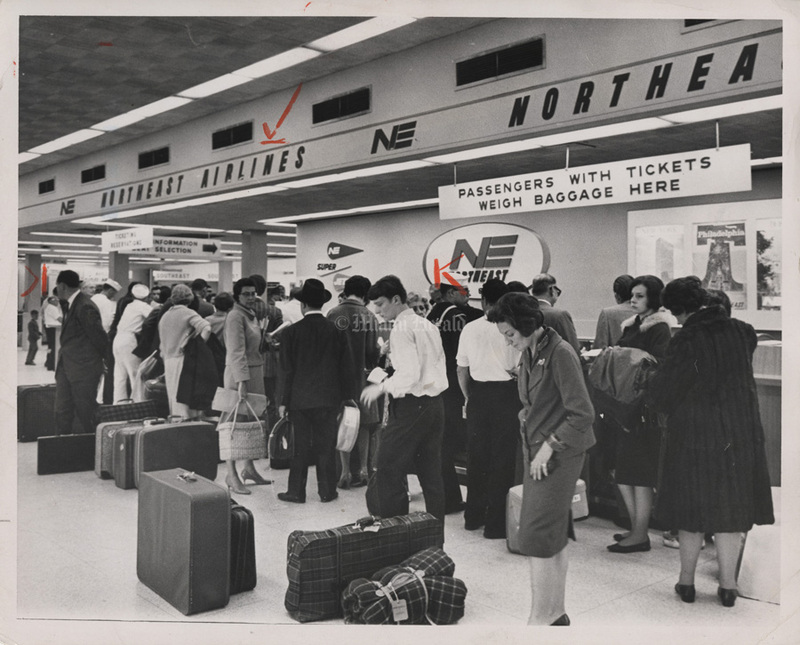 Copyright © The Miami Herald, 1958 [Miami International Airport] 1/2/1958, Steve Weber/Miami Herald: Waiting passengers overflow air lines terminal seating. 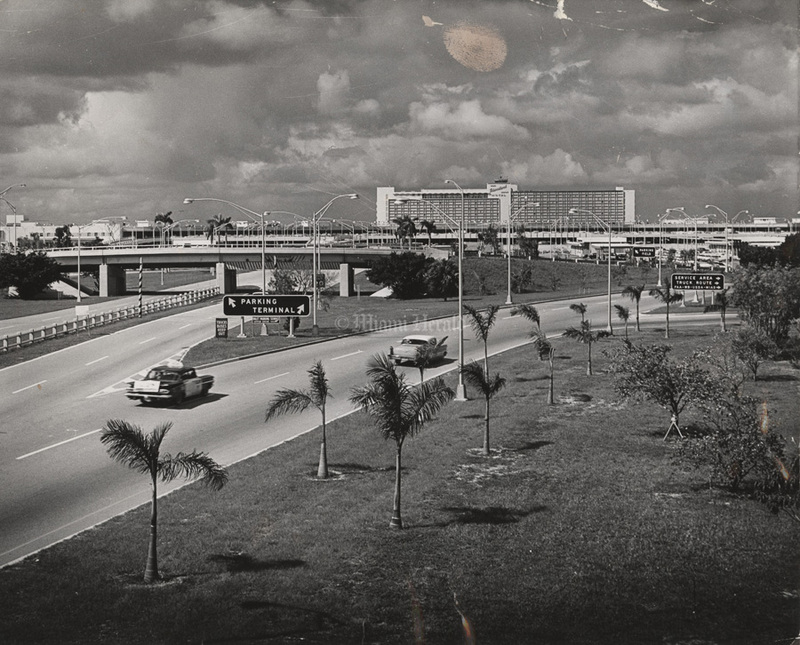 Copyright © The Miami Herald [Miami International Airport] Undated: Strip Stretch. 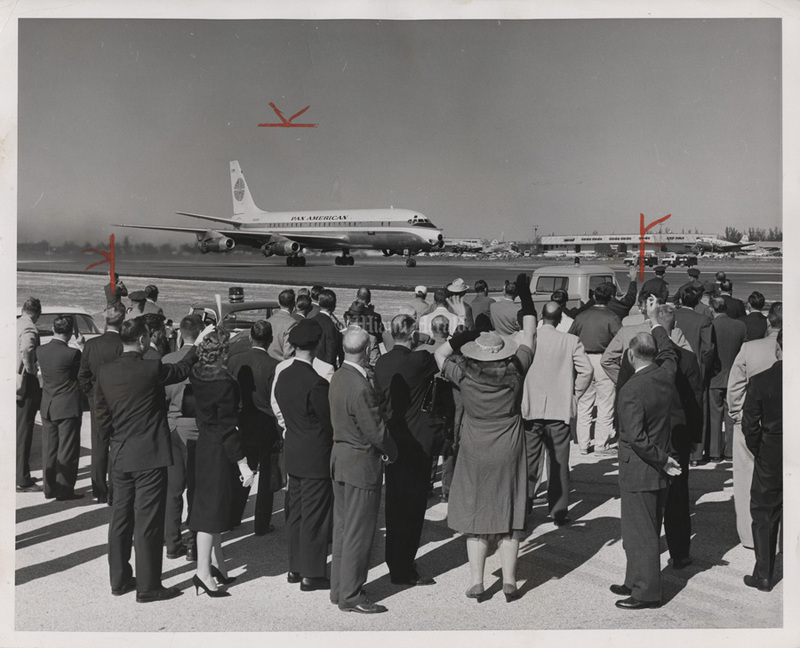 Civic leaders, government offcials and airline employes watch and wave as the first plane to use the 1,100 foot extension of Miami International Airport's main east-west runaway comes in. 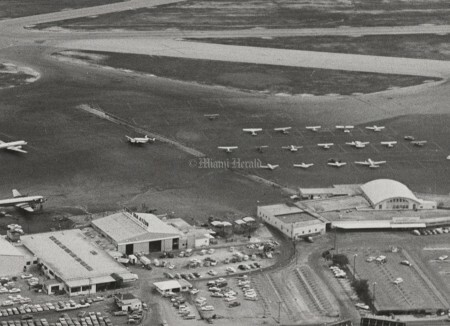 The landing strip is now 10,500 feet long. The extension was dedicated Friday. 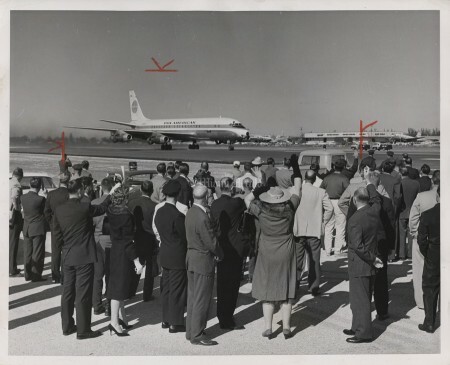 Copyright © © The Miami Herald 1963 [Front;KENNEDY;JOHN F. TRIP TO MIAMI;NOV. 1963. week before his death;JFK last visit] 11/18/1963: Bill Sanders/Miami Herald Staff -- President John F. Kennedy at Miami International Airport, where 4,000 strong greeted the President with a solid jam. 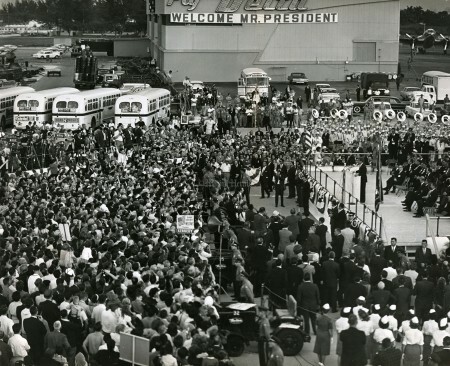 The president is visible standing at the podium on the raised platform.